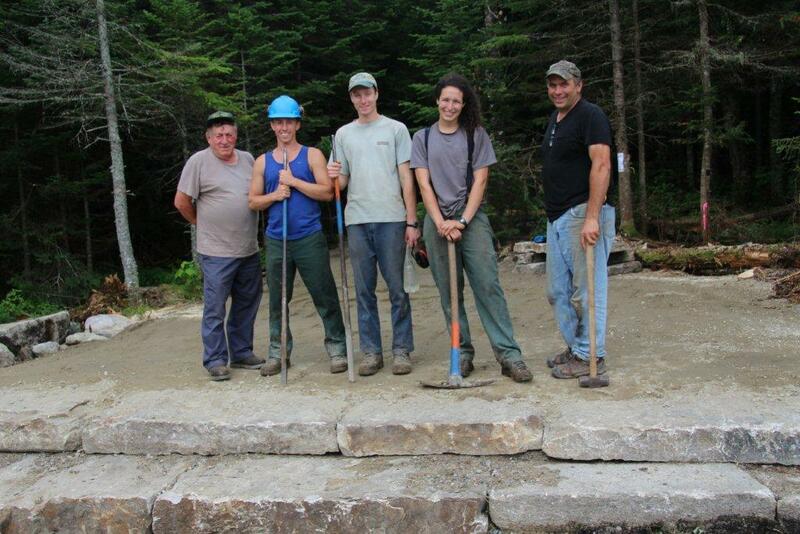 This summer, work is being accomplished at the Pond of Safety, which is accessed through the Randolph Community Forest, either from Jefferson or from trails starting at Randolph Hill. 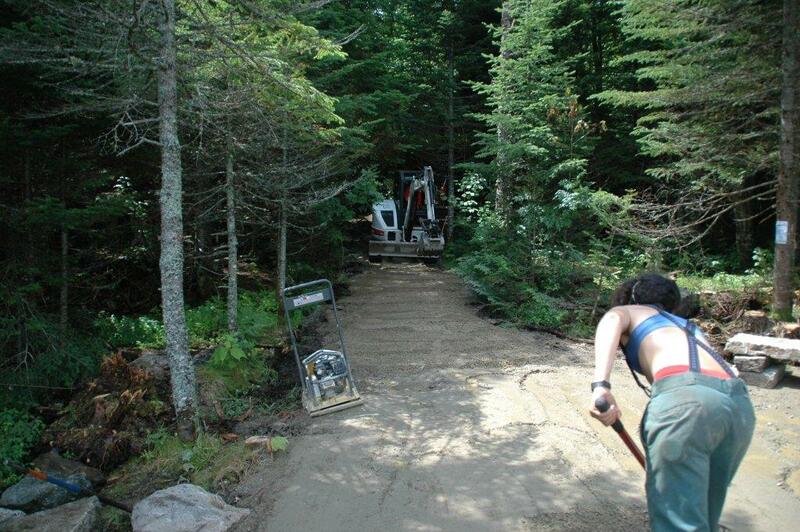 The Androscoggin District of the White Mountain National Forest, working in partnership with the Randolph Mountain Club trail crew and the Randolph Community Forest, is improving the access point to the pond. Forest Commission Chair John Scarinza has been leading the project from the Community Forest end, helping coordinate, and spending time at the Pond of Safety with the RMC crew. 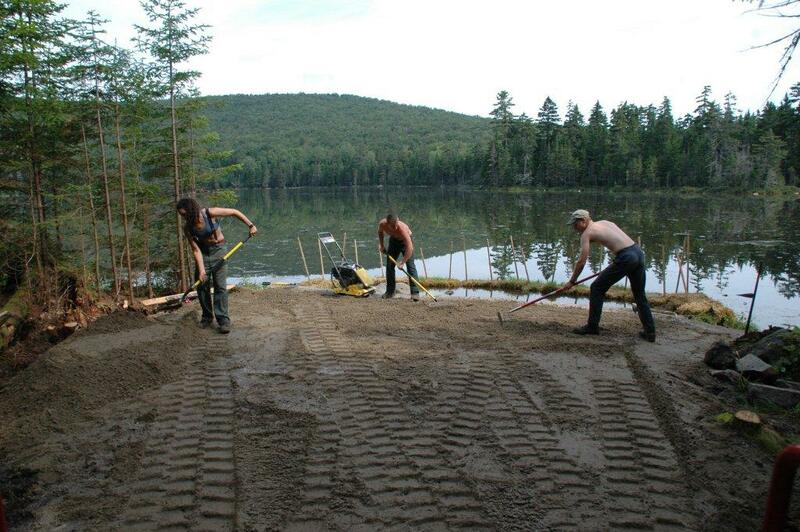 RMC trail crew members put the final touches on the improvements to access the Pond of Safety. At the same time this work is going on, the Forest Commission has been removing the former Farrar home. The land on which the home sits is now part of the Community Forest, thanks to a generous donation. After a thorough historical analysis of the building, the structure, while old, was deemed not historically significant. In a state of disrepair, the Forest Commission made the decision to remove the building. 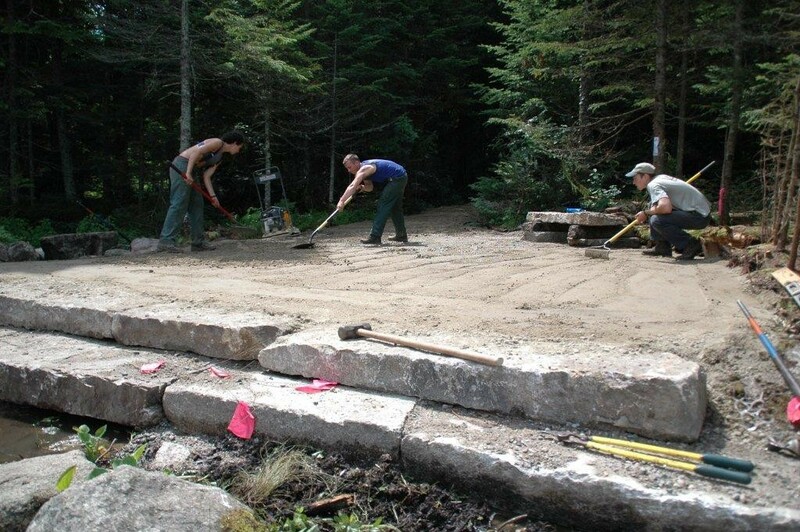 The granite steps and foundation blocks, originally cut in the middle 1800’s are being moved to the Pond of Safety, however, and will be used along a small portion of the shoreline that has suffered from many years of erosion and mud as folks tried to access the pond’s edge to gain a better view, launch a canoe, or just relax a bit and enjoy the spectacular view. We’re all encouraged to reduce, reuse, and recycle. We’re happy offer this example of reuse, Randolph-style. The next time you’re at the Pond of Safety, and see the new work at the pond, think of the former Farrar house that one stood along Route 2. 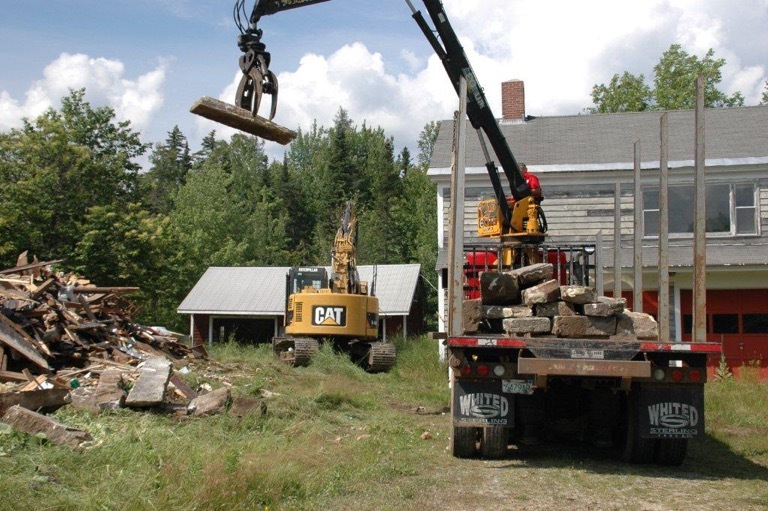 The site of the former Farrar homestead, on Route 2– and some granite being moved to the remote Pond of Safety. Before. 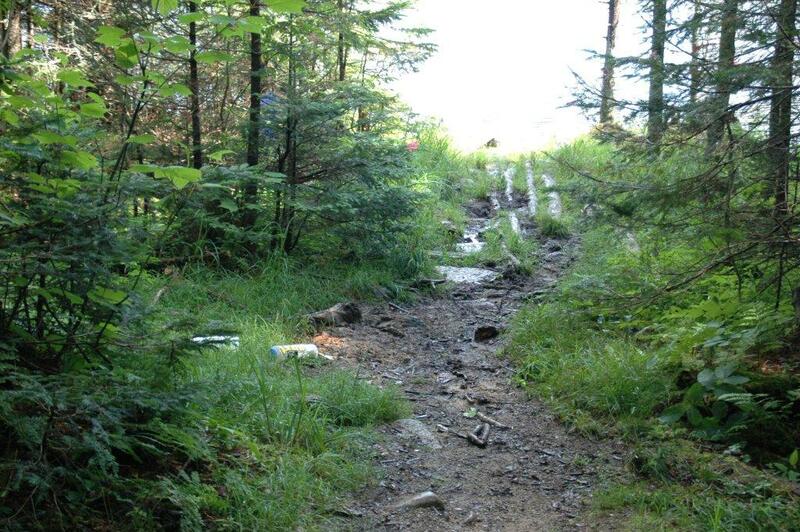 Erosion and “bootleg” trails were an ongoing challenge. A big improvement: The view from the shore of Pond of Safety. Erosion and a series of informal trails had been an issue at this location for many years. The new route heads off the end of the adjacent access road, then switchbacks down to the pond. The surface is compacted gravel, which makes for easier access for boaters. A motley crew: White Mountain Lumber’s Auvern Kenison (L), members of the RMC trail crew, and Forest Commission Chair John Scarinza.